Environmental factors, performance requirements and communication protocols all factor into selecting a feedback device for your rotary servo motor application. In this post, we’ll look at some of those factors, provide examples, and give you some helpful formulas to make things easier. Before getting started, you may find it helpful to review our earlier post on basic operational theory for three types of feedback devices: resolvers, optical absolute encoders and optical incremental encoders. Consider the operational environment for your application when selecting a feedback device. The ambient temperature and shock/vibration ratings required for your application can quickly determine if you need a resolver or if an optical encoder will suffice. Speed control, position control and torque control are performance requirements that factor into selecting the right feedback device for your application. Speed control – The resolution you choose will be influenced by the update rate (velocity loop) and input frequency of your control. For instance, if you are operating at a very slow speed, you need to make sure that your resolution is not too coarse or the control update may occur prior to your next count. 1,000/360 = 2.8 counts/deg. = 1 count every .357 deg. Result – Your control will look for an update when your shaft has rotated .0375 deg., but your next feedback count will not appear until you reach a shaft rotation .357 deg. This can create instability and velocity ripple in your application. On the other hand, if you are operating at a very high rpm, you need to make sure that your drive can process all of the feedback device resolution relative to its input frequency. Result: Your drive will not be able to keep up with the resultant counts/rev, which can cause your drive to fault, or prevent you from getting to your required rpm. Position control – The optimum location for a feedback device is at the location where the controlled motion is required. When using a motor mounted feedback device, it is important to determine the amount of error that will be acceptable for your application. Your feedback resolution will determine how precisely you can control the rotation of your motor shaft. For instance, a 5,000 pulse/rev. encoder will allow you to control your motor shaft to .07 deg of rotation. 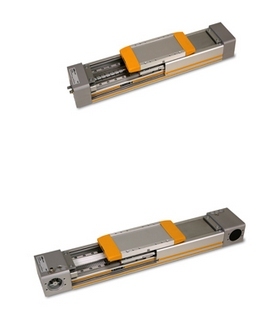 If your encoder’s accuracy is .07 deg then your resultant level of shaft control is .14 deg. After that you need to take into account the accuracies of the components that your motor is driving. If you are now adding a gearhead with .08 deg. of backlash to your motor with the 5,000 pule/rev. encoder, then your resultant level of shaft control at the output of your gearhead is .14 deg. .08 deg. = .22 deg. As with speed control, you need to look at the update rate (position loop) of your control device. Slow speed operation – If you are running at a very slow rpm, and your resolution is too coarse, your controller will see this as an error and will try to correct. High speed operation – If you have a high speed application and you choose too much resolution relative to your controller input frequency, you will cause your controller to fault. Torque control – To control torque, your feedback device provides the means for the motor to commutate. Commutation refers to the action of steering currents or voltage to the proper motor phases to produce optimum motor torque and motor shaft rotation. Knowing the motor rotor/shaft position via the feedback device allows your controller to do this. Here are a few considerations to help you choose between BISS, EnDat and Hiperface communication protocols. If you are designing your own drive and controls you may want to investigate which protocol offers the best performance relative to clock frequencies, transmission rates, etc. From a motor manufacturer viewpoint, we look at resolution, permissible speed and ease of integration. From an end user standpoint, make sure the communication protocol of your motor feedback device is a match to your controller, especially when you mix and match components from various manufacturers. These formulas and examples show what your minimum pulse/rev (PPR) feedback resolution should be when using a screw or belt driven linear stage. Round the value up to the closest standard resolution offered by your feedback device. Remember to understand your controller update rate and input frequency relative to the speed that you want to run your motor at. 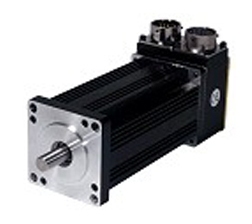 Watch this video to learn more about the features of our SM slotless servo motor. Consider how environmental and performance requirements will apply to the feedback choices offered for this servo motor.